Our father among the saints Mardarije (secular name Ivan Uskoković, Иван Ускоковић; December 22, 1889 – December 12, 1935; also Mardarius) was the First Serbian Bishop of America and Canada. He was glorified as a saint on May 29, 2015, and his feast day is celebrated on December 12. As a theological student Hieromonk Mardarije, at the behest of the holy prisoners’ camps in Siberia, Turkestan, and Bukhara, journeyed to deliver lectures and talked to prisoners of Slav extraction from Austro-Hungary. 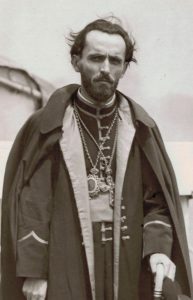 Archimandrite Mardarije was consecrated Bishop in the Orthodox Cathedral in Belgrade on April 25, 1926, by Patriarch Dimitrije and the Bishop Danilo of Dalmatia and Istria and Bishop Serafim of Zletovo and Strumica. Also present at the consecration and Liturgy was Gordon Paddock, Chargé d’Affaires at the American Embassy in Belgrade. 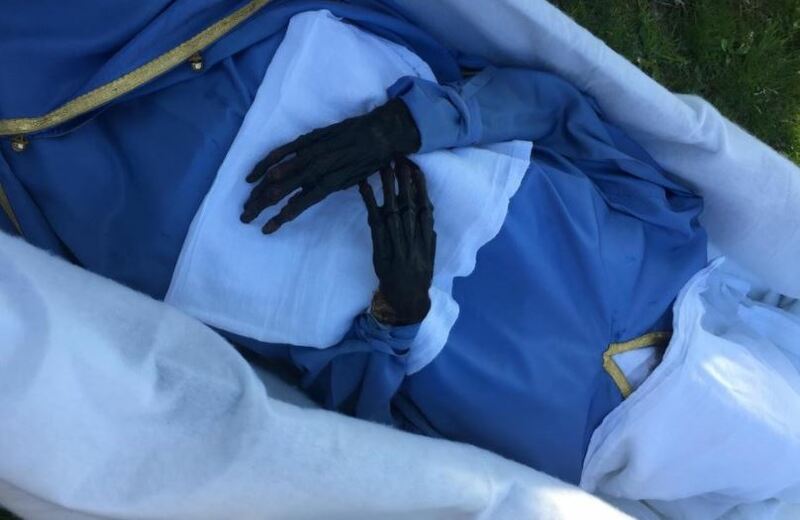 By the blessing of His Grace, Bishop Longin of New Gracanica and Midwestern America, the relics of St. Mardarije (Uskokovic) were uncovered on May 5 in the church of St. Sava Monastery in Libertyville, IL, where they have laid since his December 1935 burial. The opening of his relics, in advance of his July 14-16 Pan-Orthodox glorification services, revealed his relics to be incorrupt, reports Fr. Nikolaj Kostur, the Chairman of the Liturgical Sub-Committee for the Glorification of St. Mardarije, on the site of the Serbian Orthodox Church in North and South America. His tombstone and the flooring over his relics were removed following a Liturgy and Akathist served by His Grace Bishop Longin on May 4, revealing that his casket was in a cement vault, which was opened the following day. “Christ is Risen” and other Paschal hymns and the troparion to St. Mardarije were sung in Serbian and Russian tones throughout the exhumation process. His casket was cracked during the removal process, releasing a sweet fragrance that quickly dissipated. Upon careful inspection of his relics, Fr. Nikolaj Kostur discovered that St. Mardarije’s hands were wholly intact, with skin, fingernails, and hair visible. After carefully removing the vestments in which he had been buried, they found that his relics are in fact incorrupt from the knees up. His hair and beard are still soft, as if he had been buried yesterday. St. Mardarije’s relics were then washed with warm water and white wine and anointed with spikenard, and placed in a sticharion, awaiting their full vesting before his glorification in July. St. Mardarije labored tirelessly in America, and personally founded the St. Sava Monastery where he was buried after his repose on December 12, 1935. The Holy Synod of the Serbian Orthodox Church added his name to the diptych of saints on the Church’s calendar at its May 29, 2015 meeting.